This bedroom collection by Coaster Furniture Company offers a sophisticated blend of modern styling and traditional design. The crisp, strait lines and beautifully carved bun feet create a casual and relaxed atmosphere. 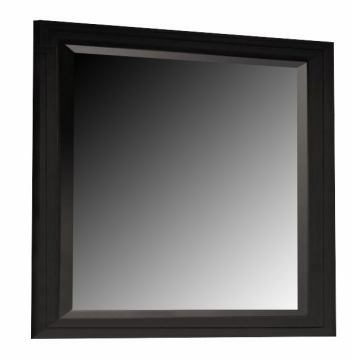 Add sophisticated and modern styling to your bedroom with this elegant mirror. This simple, yet classic square mirror is complemented by beveled glass and is made with tropical hardwoods and veneers. Pairs perfectly with the matching dresser.